The Lomography Black & White 400 35mm Berlin Kino Film is Cut from an old roll of German cine film that casts delicate grain and soft tones. The estimated delivery date is early December 2018 and it will cost $8.90 USD per roll. Whether you’re new to analogue or a seasoned film photographer, you’ll be able to achieve rich black and white images with this gorgeous film. Unique in its high dynamic range and ability to produce distinct, yet equally stunning results with different development and filters, this panchromatic emulsion is a blank canvas for your creativity. Capture the gritty beauty of the streets in motion, or sweep into the studio for effortlessly elegant editorial images filled with mesmerizing detail and subtle contrast. 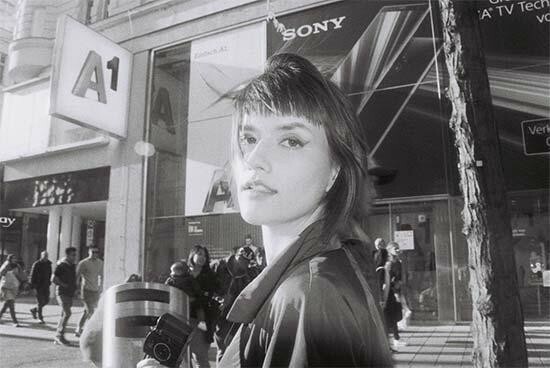 Lomography B&W Berlin Kino Film will be available at just 8.90 USD from the Lomography Online Shop and Gallery Stores worldwide. Established in 1992 by a group of footloose Viennese students, the Lomographic Society International is photography’s wild child. Fuelled by fiery passion and burning curiosity, we blasted off our free-spirited movement when we stumbled across the Lomo LC-A — the most popular Russian camera of the 1980s, now famed for its quirky aesthetic. We wasted no time at all and created our Ten Golden Rules (lomography.com/about/ the-ten-golden-rules), and we’ve dutifully followed them ever since. Today — with over 1 million creative members Lomography is a license to let loose; an invitation to ignite your inspiration, and a platform to catapult your shots around the globe. Whether you’re a complete novice or a seasoned pro, we believe that you harness the power to create something incredible. From crazy color-shifting film to bespoke Art Lenses, innovative instants to classic analogue cameras we’re dedicated to designing and producing all the photographic tools you need. interviews and creative tips in the Lomography magazine. They dance like there’s no tomorrow at parties, and attend countless exhibitions hosted in Lomography Gallery Stores worldwide. Their thirst to travel, experiment, make mistakes, share and experience LIFE in all its beautiful, bizarre and bewildering glory is what keeps Lomographers restless on this little planet we call Earth.